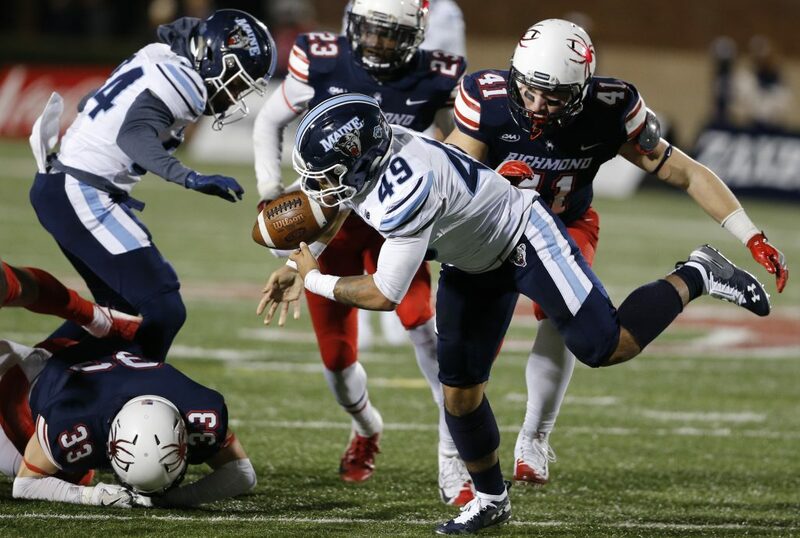 Maine's Ramon Jefferson is tackled during the Black Bears' 28-9 win over Richmond on Saturday in Richmond, Virginia. 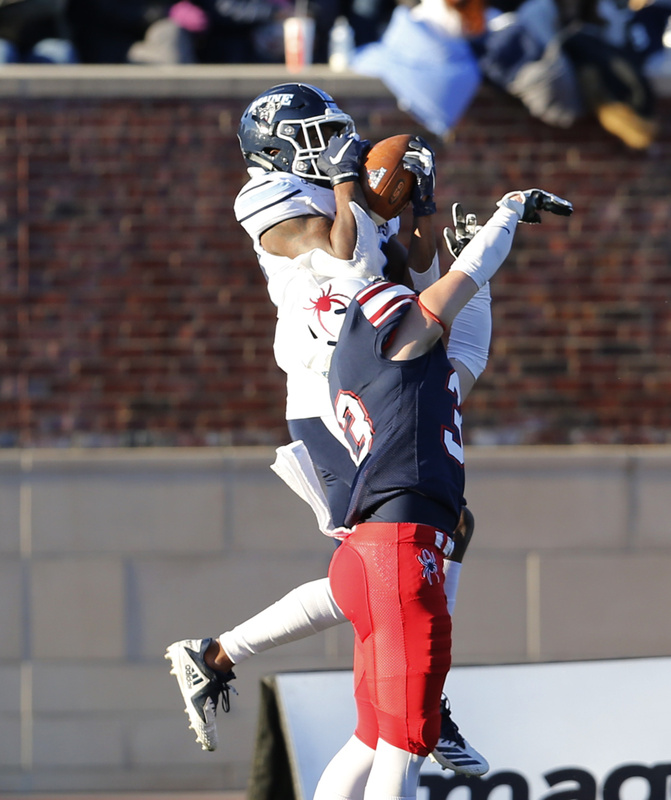 Richmond's Isaac Brown can't quite reach the ball on an incomplete pass during the Spiders' 28-9 loss to the University of Maine on Saturday in Richmond, Virginia. 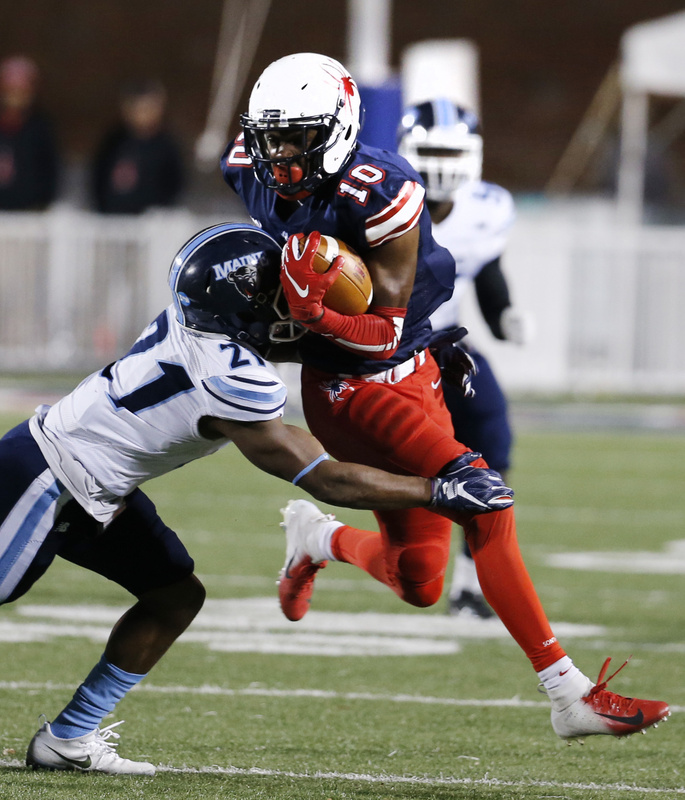 Maine's Earnest Edwards out jumps Richmond's Duncan Rogers for a reception he turned into a touchdown during the Black Bears' 28-9 win on Saturday in Richmond, Virginia. 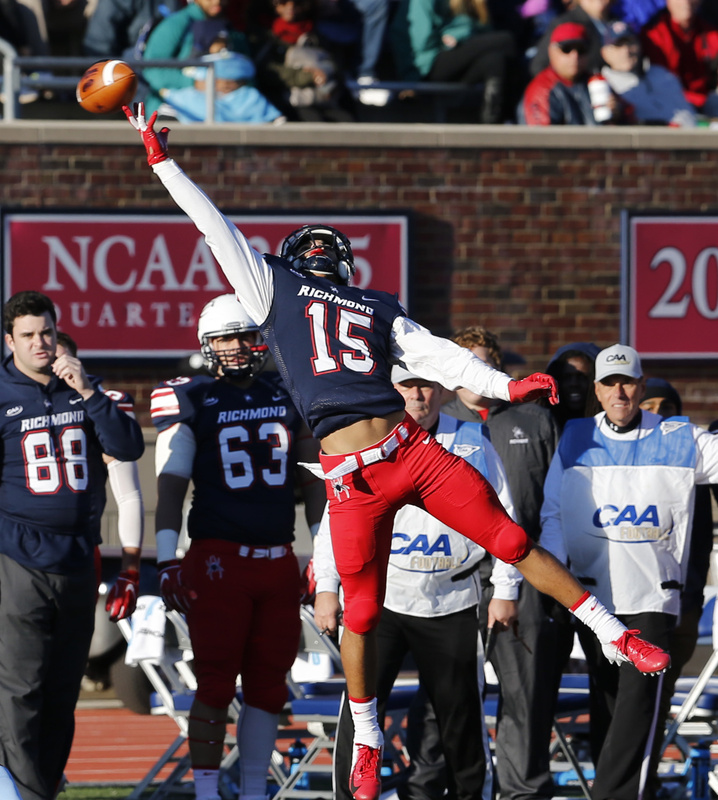 Richmond quarterback Reid Chenault gets into the end zone late in the Spiders' 28-9 loss to the University of Maine on Saturday in Richmond, Virginia. 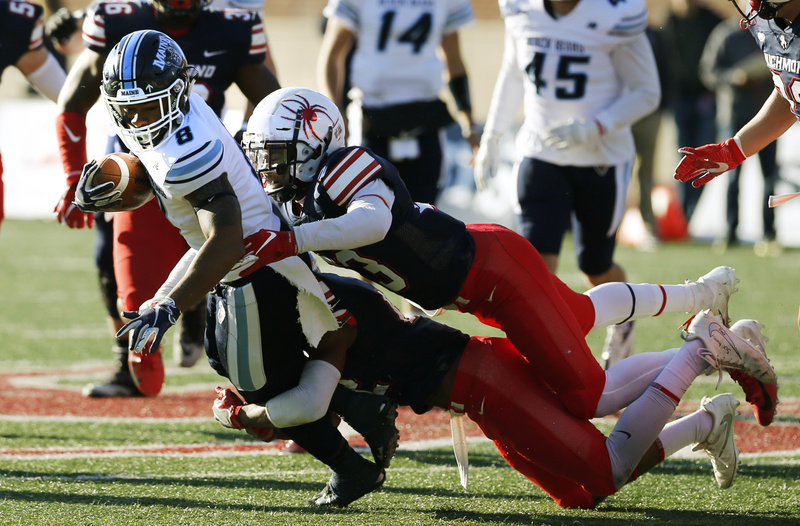 Richmond's Caleb Drake carries the ball during the Spiders' 28-9 loss to the University of Maine on Saturday in Richmond, Virginia. 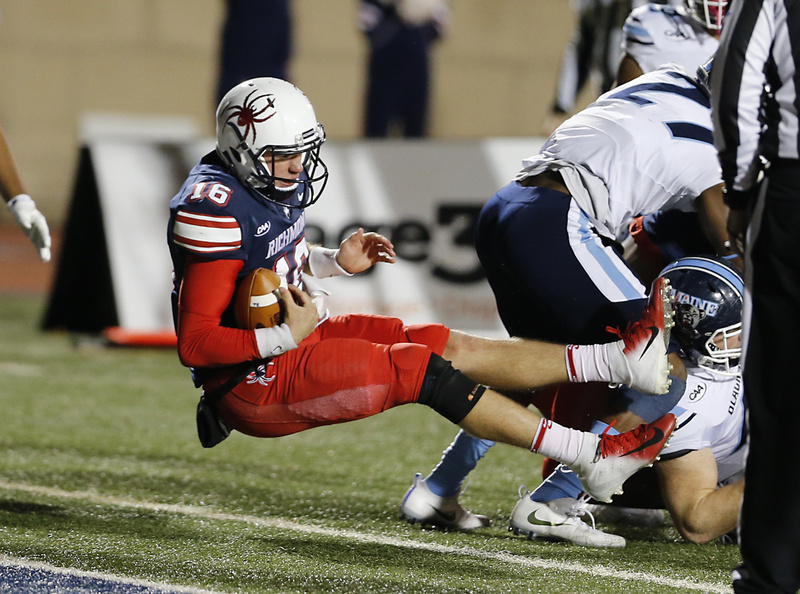 Richmond's Caleb Drake tries to break a tackle during the Spiders' 28-9 loss to the University of Maine on Saturday in Richmond, Virginia. 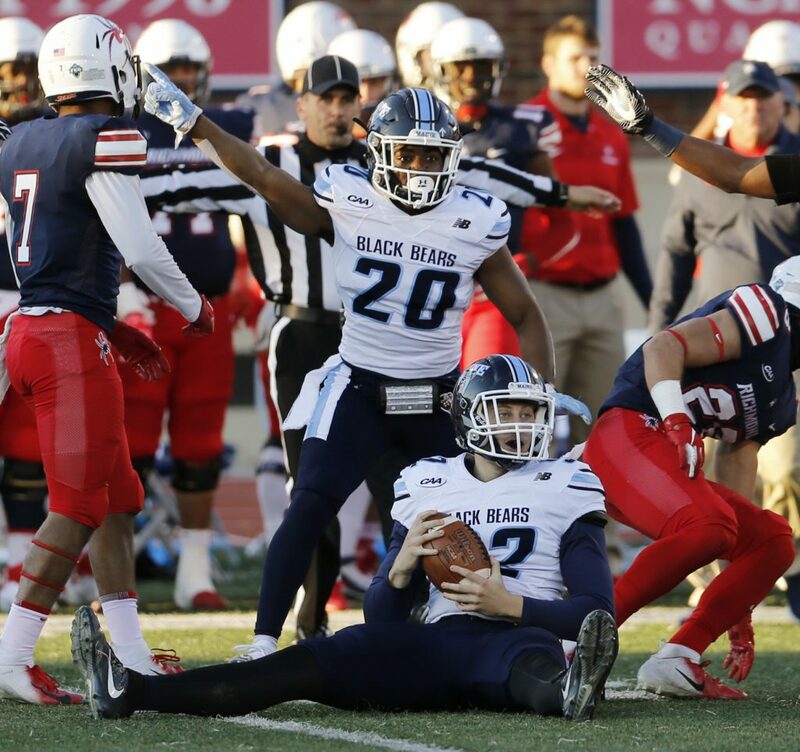 Maine's Bryce Colee holds the ball after recovering a fumble on a punt return during first half of the Black Bears' 28-9 win over Richmond on Saturday in Richmond, Virginia. 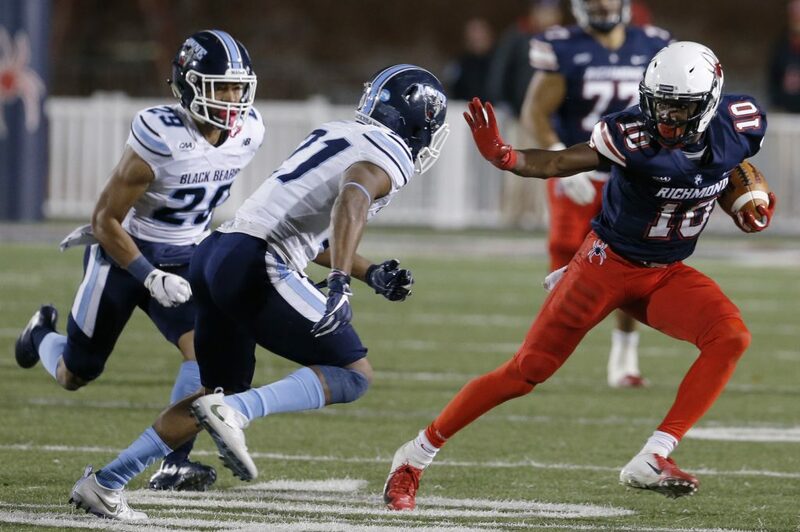 Maine's Adrian Velez (49) maintains control for a big gain against the Richmond Spiders during the Black Bears' 28-9 win Saturday in Richmond, Virginia. 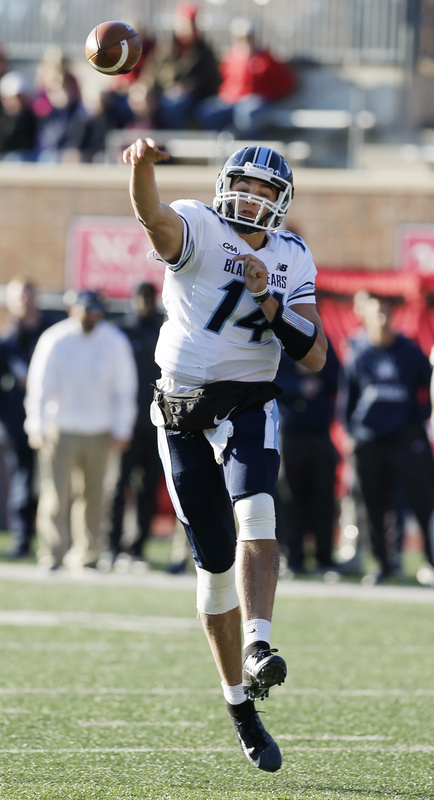 Maine quarterback Chris Ferguson tosses a 4-yard touchdown pass to Earnest Edwards during the Black Bears' 28-9 win over Richmond on Saturday in Richmond, Virginia.